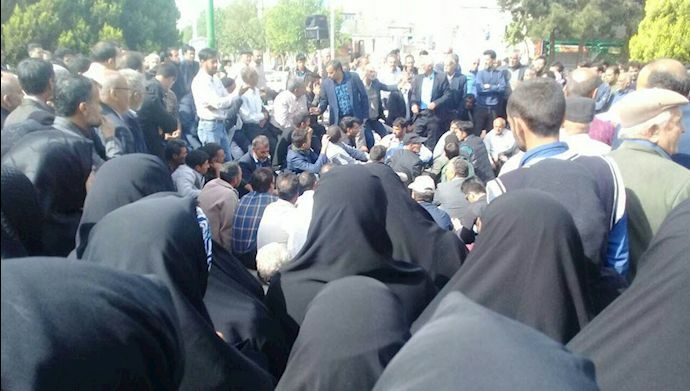 The state-run Sharq daily newspaper reported women’s massive presence in the protests taking place in Isfahan, central Iran. Farmers of eastern Isfahan have been protesting continuously for more than a month to gain their share of water for farming from Zayanderood. They enjoy the support of all people and youths in Isfahan Province located in the center of Iran. Zayanderood used to be a copious river passing through Isfahan, one of Iran’s major capitals and centers of tourism. Under the clericl rule, this river has dried up due to numerous dams placed on its route to divert water to Revolutionary Guard Corps (IRGC) compounds and facilities for military purposes.